Pakistani-American Hollywood actor Faran Tahir rose to prominence as Raza in Iron Man is all geared to perform theatre in Pakistan titled ‘Bhai Bhai’. 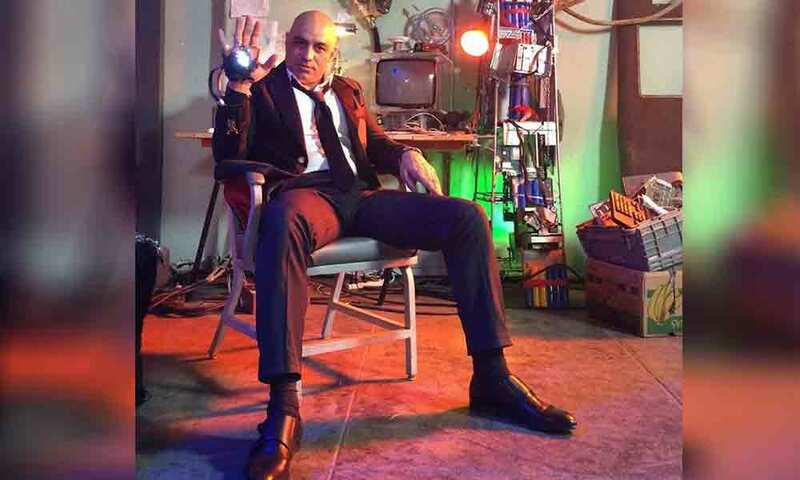 Scheduled in Karachi on February, Faran Tahir is not only acting in this upcoming play but will also be directing it. The news is already making waves around the country and his fans are just anxious to catch his glimpse. I hope everyone has had a great start to 2019! Happy new year! Farhan has appeared in a number of major Hollywood blockbusters including Star Trek, Charlie Wilson’s War, Elysium, Escape Plan and became a household name due to his many TV appearances in America. Moreover, it has been said that the play is an adaptation of Sam Shepard’s iconic comedy “True West”. Produced under the Banner of Tahir Entertainments, Bhai Bhai revolves around the story of two estranged brothers, Buddy, played by Faran Tahir, and Boney (Ali Tahir). It has been revealed that Boney is a struggling writer, working a script that he needs to sell to a producer, Nazir Zaigham (Aamir Qureshi) who is aiming to sell the script to Netflix. Well, the story already looks exciting to us and we just cannot wait to enjoy the theatre. Apart from Faran Tahir and Ali Tahir, the cast of the theatre also includes Hina Dilpazer and Aamir Qureshi. Hina Dilpazer will be making her theatre debut with this play and her fans are thrilled to see her live in action. Are you excited to watch this upcoming theatre play? Let us know in the comments section below.